Thanks, I keep working on this! thans a lot! btw, I tryed to test your game but .NET required me to download a new version and I got an error updating it. I will try today again. yes, I will upload a windows version in 3 days, Im on holiday and I only have a mac to travel. glad to see I wasnt the only one doing a C++ engine from scratch for the compo! I have to see if I can link statically also to the MSVC runtime. thats always a good place to start! thanks, you picked a nice time window. my problem is that this week I will be out traveling and I will be back on August 9th so I dont know if I will have time to finish it but I plan to create at least a simple level and some gameplay on top to showcase the features. Wow, you are crunching the numbers! Keep the work, very excited to see what you come up with. Im using SDL too, and for the audio Im using SDL basic audio callback system. Its very raw but if you need code to load a WAV file and play it I can send it to you. Hey, I've been working non-stop over the last week in my entry for the Floppy Jam. 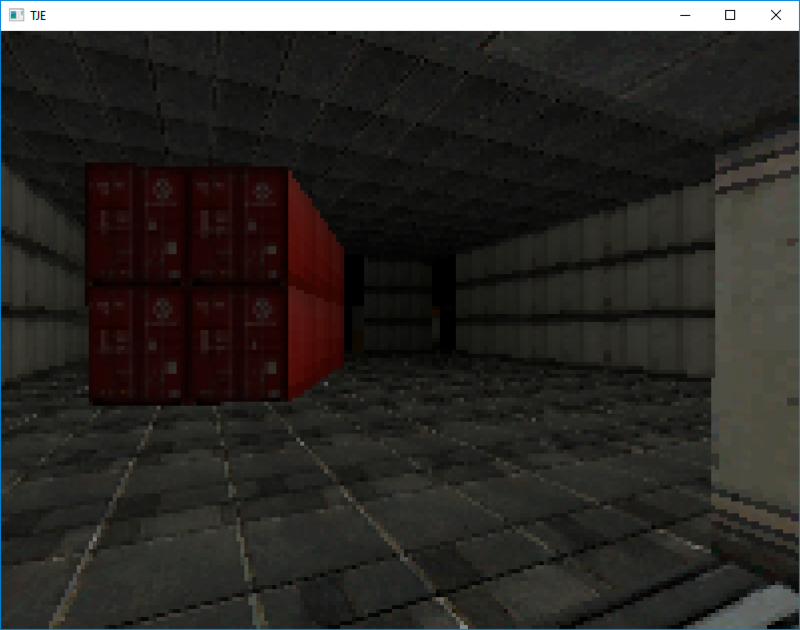 I always wanted to create my own sector-based 3D engine after reading so much about the work done by Ken Silverman and John Carmack. 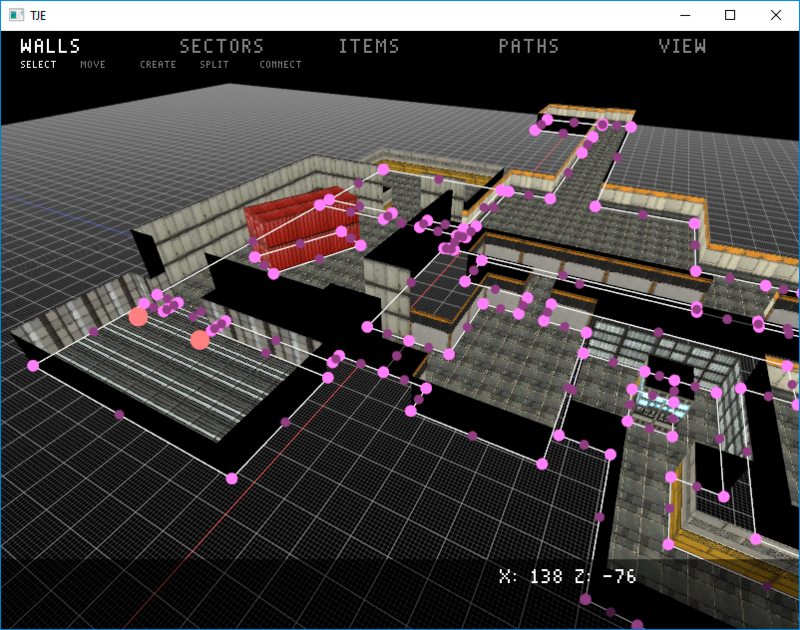 Because the level size has to be small I decided to create my own file format and because of that I needed my own editor. 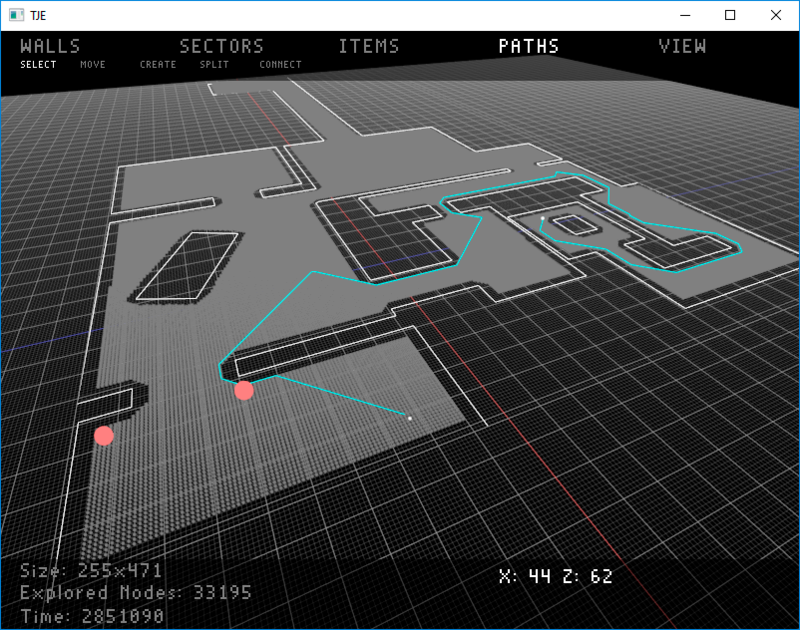 So over the last week I've been creating my own level editor, which consumed me more time than I expected, but now it seems quite complete (although the interface is horrible). 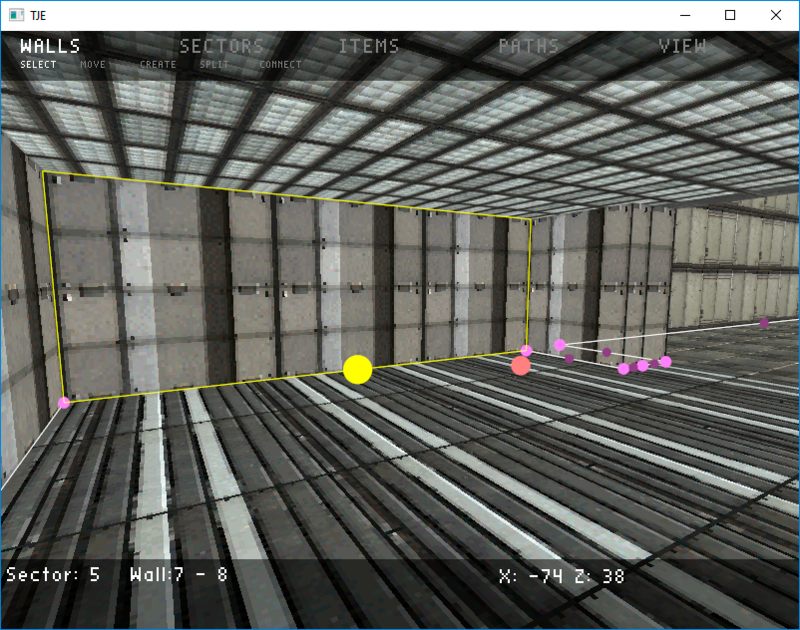 I also have pathfinding (although a little bit slow) and some basic form of collision detection with walls. The next week I will focus on designing the levels and gameplay. Right now with the executable, textures and one level, the total file size (no DLLs) is under 500KBs so I still have a budget for sprites and maybe sounds. And this is a view from inside the map. 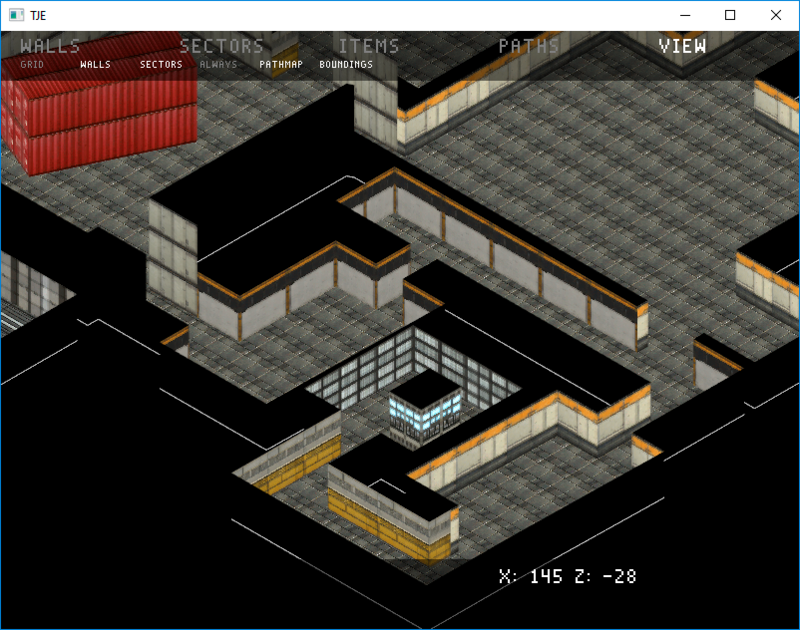 Im using deferred rendering so I will try to add lots of lights to give a nice atmosphere. I was quite sure that if I didnt do it a wolf will come at night so yes! I did it every night! Still, a good game with lots of good ideas. Keep the good work. PS. the chickens couldnt escape, I closed the door every night! The first day I sold one goat without knowing just by clicking to see what it was. So I started the game with just one goat, which I guess is not very important but made me feel frustrated. Maybe goat-selling shouldnt be allowed till later. I guess you wanted to make the daily life routine, but I feel it lacks some variety on the days. It feels boring if everyday the chores are exactly the same. Graphically the game is very beautiful, but at night the lights of the house are blue, I guess you are tinting the fullscreen using a postprocessing effect and thats why the windows do not shine orange. I would suggest to do not tint and use the ambient light to turn it blue. I didnt want to read the letters because I felt it was stolen precious time from the game, but I guess time is paused when reading. My suggestion is to read the mails once at home automatically. Maybe some other camera angles would make it less repetitive. Like showing the inside of the house when she goes there.